The coating is a single pack system which is easy to use and is suitable for every climate and is best used as a replacement for zinc plating. Water-based, environmentally friendly, chrome-free, improves corrosion resistance of zinc plated parts up to 1000 plus hours. 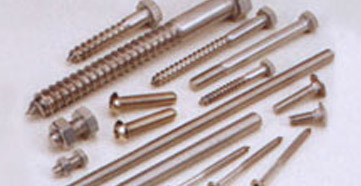 PPI developed water-based coating for threaded hardware and metal parts in automotive and engineering construction. Polymet Seal coat is a water-based thermo set cross linked system. It has excellent adhesion over zinc plated and zinc flake coated parts. PPI has premium water-based metal coatings that can be used on appliances, office furniture, farm implements, and structural steel. The coatings can be air dried or baked. PPI has created a line of premium water-based coatings for plastic that can be used for automotive, building products, and plastic components. PPI specializes in water-based internal and external coatings for all types of steel tubes and pipes used for water, oil, gas, construction, fencing posts, and electrical conduits. PPI has excellent water-based exterior coatings for fiber glass doors, windows, PVC windows, siding, and shutters. PPI has a first-rate line of water-based coatings for wood that can be used on furniture, kitchen cabinets, doors, moldings, and floors. Premium Products Inc.'s water-based auto component coatings are designed for ease of application and maximum protection against corrosion and chipping.